Mother, Grandmother, founder of Yoga Den Health Spa & School of 18 years. 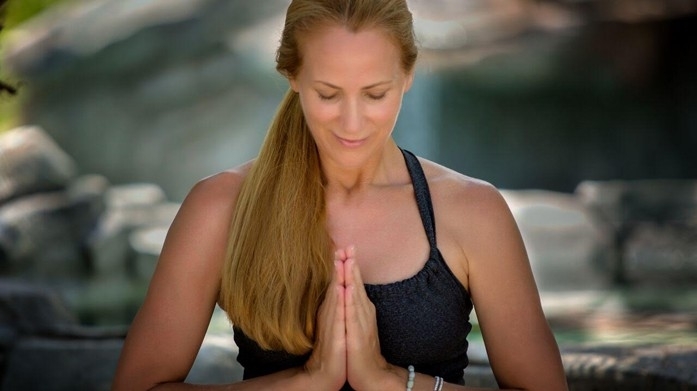 She is very thankful to have been introduced to yoga in her teens, in deep gratitude for all her teachers and continues to be amazed at how much there is to learn from these sacred teachings. Born and raised in Corona, Ca. Grew up showing horses, studied Hawaiian dancing and her lineage, Portuguese Hawaiian. Leeza was offered an opportunity to travel to Europe and model. She experienced more than 15 countries. Very thankful she had yoga to keep her balanced. She loves people and realizes we all are unique and have a purpose. Honored to be a yoga teacher and welcomes all people, ages and levels with an open heart. Her vinyasa flow class is like a slow dance, moving from one pose to the next, emphasizing every movement has a breath. Caution: Chanting, dancing and abundant Love will occur!